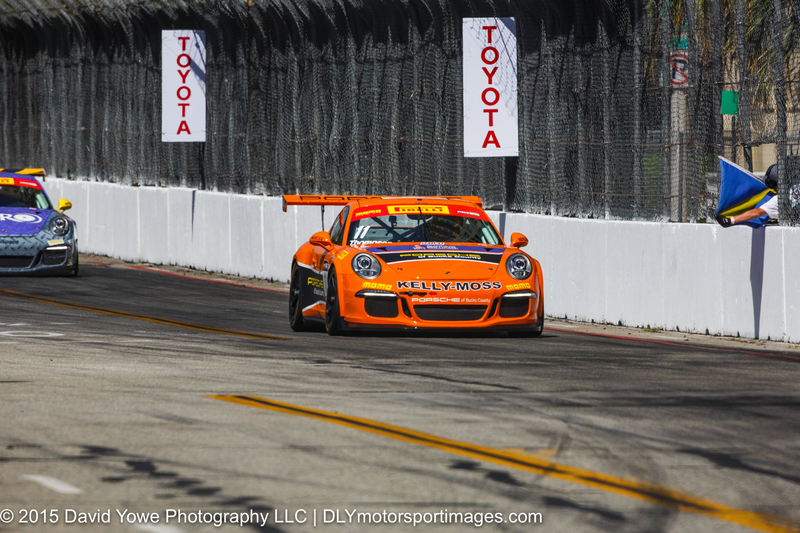 The GT/GTA/GT Cup class cars of the Pirelli World Challenge (PWC) headed west for the Grand Prix of Long Beach. Practice was held mid-morning on Friday under sunny blues skies. 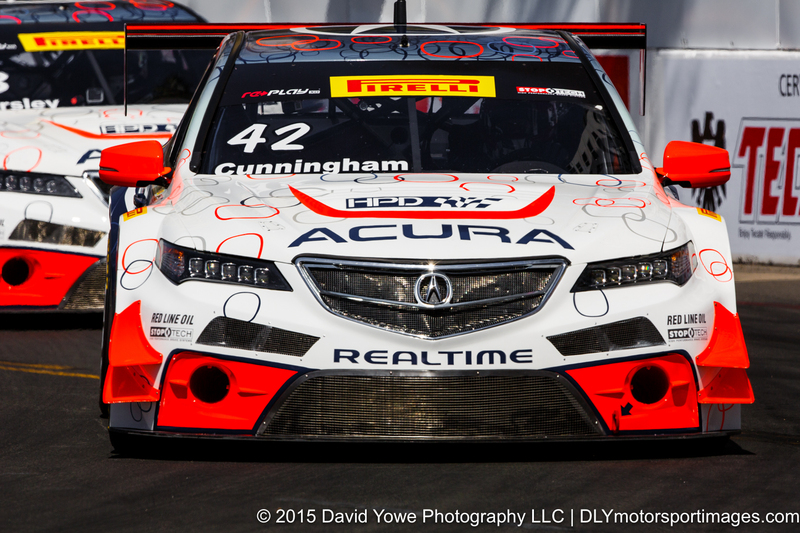 Peter Cunningham in the #42 RealTime Racing Acura TLX-GT was fastest in the GT class. Frank Montecalvo in the #66 DragonSpeed Mercedes-Benz AMG SLS GT3 was the fastest in GTA, and fastest in GT Cup class was Colin Thompson in the #11 Kelly-Moss Motorsports Porsche 911 GT3 Cup car. Hope you like the photos. For the practice session headed over to Turns 8 to 10. Along the Turn 8 to 9 straight with Colin Thompson in the #11 Kelly-Moss Motorsports Porsche 911 GT3 Cup car who topped the practice session for the GT Cup class. 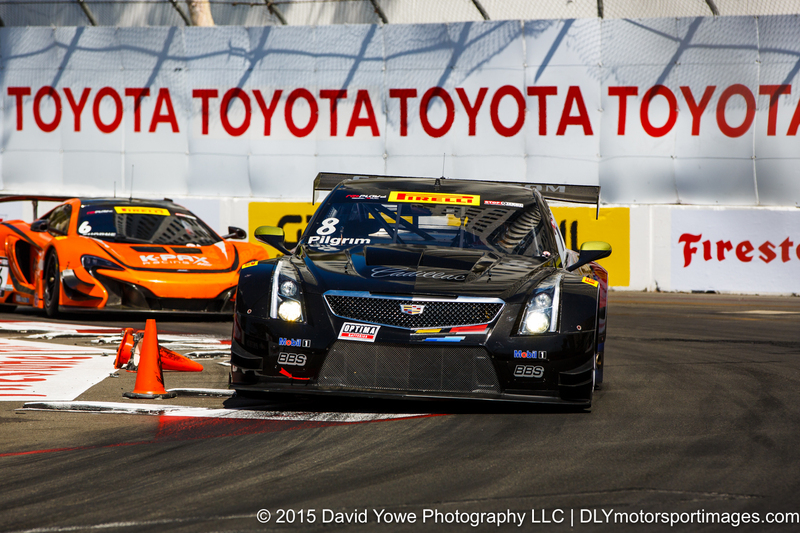 Really like the black livery on the Cadillac Racing Cadillac ATS-VR GT3. Here’s Andy Pilgrim in the #8 going through Turn 9 with a K-PAX Racing McClaren in hot pursuit. 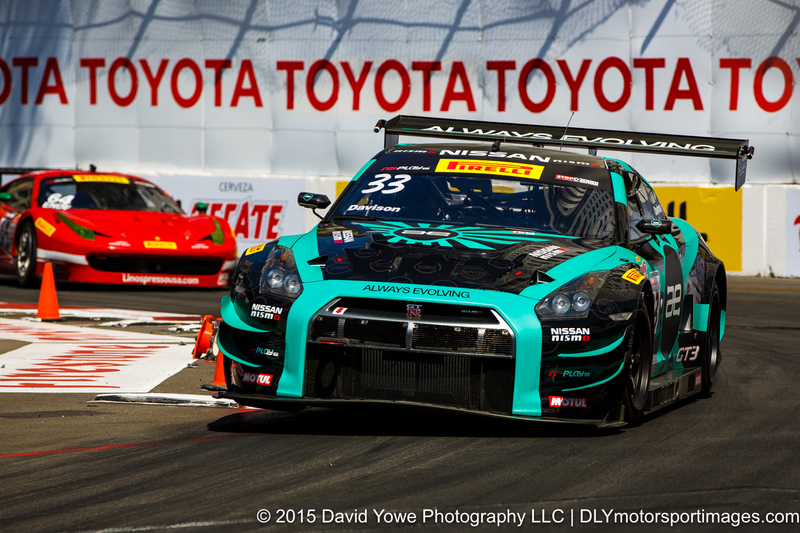 “Wheel-lift” into Turn 9 with JD Davison in the #33 Always Evolving Racing Nissan GT-R-GT3. 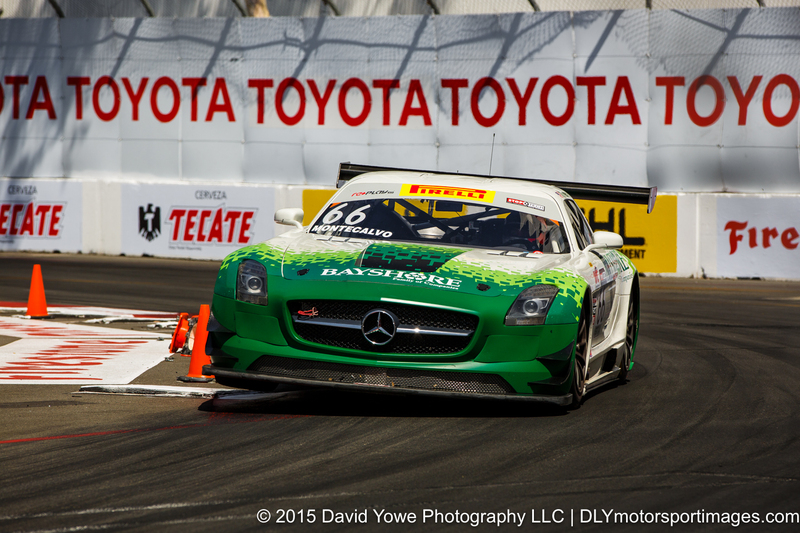 Fastest in GTA class was Frank Montecalvo in the #66 DragonSpeed Mercedes-Benz AMG SLS GT3. 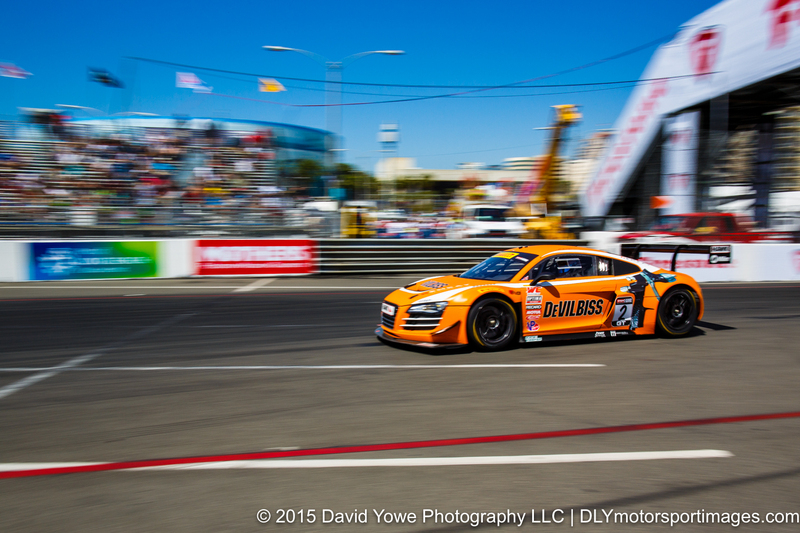 At speed with James Sofronas in the #14 Global Motorsports Group Audi R8 LMS Ultra. Peter Cunningham in the #42 RealTime Racing Acura TLX-GT ws fastest for GT class. 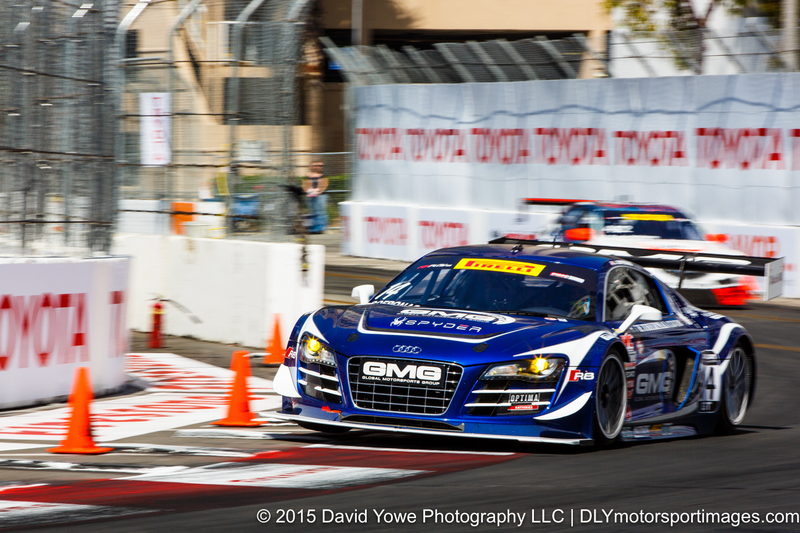 Through the short Turn 9 to 10 straight with Mike Skeen in the #2 CRP Racing Audi R8.